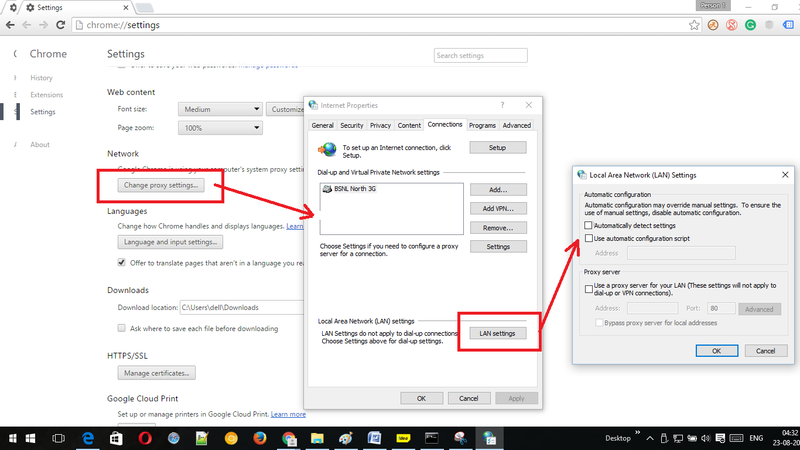 How to resolve chrome resolving host issue. Tutorial with screenshots. Is your browser window showing the “Unable to Connect to the Internet” or it is rendering the webpage improperly? If it is happening to particular website URLs and you can see the words – Resolving Host, then read on to know what the issue is, why the problem occurs and how to fix it. Sometimes, the page loads but not in the way it should, leaving cluttered page with a bad view. 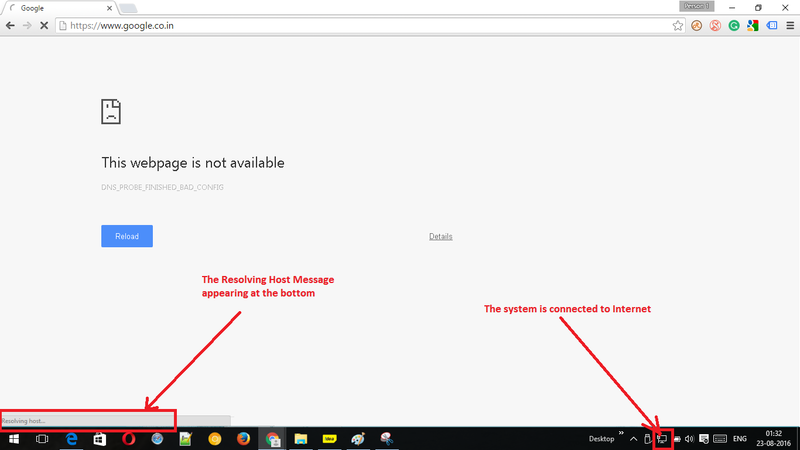 Why the Google Chrome shows Resolving Host Message? The IP addresses are resolved by the DNS server from the domain name you have entered as it is not practical to remember all IP addresses like 255:255:255:0. If you have changed your ISP (Internet service Provider) or your ISP has changed the DNS settings, the DNS servers configured by the ISP will take longer time in resolving the IP address of the domain name you have entered. This will lead to a significant delay. Alternatively, if DNS cache of your browser is old and the site is moved, the Google Chrome Browser will get confused and it will take some time to find the correct address. In either case, the delay and recurring error messages may appear. If it is not acceptable to you (just like me) then follow the instructions for any of the methods discussed below. Save this file as bat on the desktop of your Windows PC. Now right click on the file and click on Run as Administrator. The system will reboot itself and the problem will be fixed. You may need to repeat the same thing in some months as the cache can problem again. Begin with opening the Properties of your Connection. Note: These instructions are for the IPV4, if you are using IPv6, follow the same steps and select IPV6 instead of IPV4. Also, set the preferred DNS server to 2001:4860:4860::8888 and alternate DNS server as 2001:4860:4860::8844. Once everything is done, close & open the Google Chrome again.  You will experience that the websites are loading fast, without any issue. The DNS caching feature of Google Chrome is to fasten the website loading. But if the website, you are trying to open, is moved to a new address – it may create a problem. In this case, you can try clearing the browser’s cache by following these instructions so that the message “Resolving Host” does not disturb you. Find the option DNS in left sidebar and click on it. Click on the Clear Host Cache. Re-open the Chrome to enjoy quick and hassle-free loading. Open Command Prompt – either from the Start menu or by typing cmd in the Run window, opened by pressing Windows (Key) + R.
Write ipconfig/flushdns and press Your cache is flushed. Now close the Command Prompt and Browser and reopen the browser again. 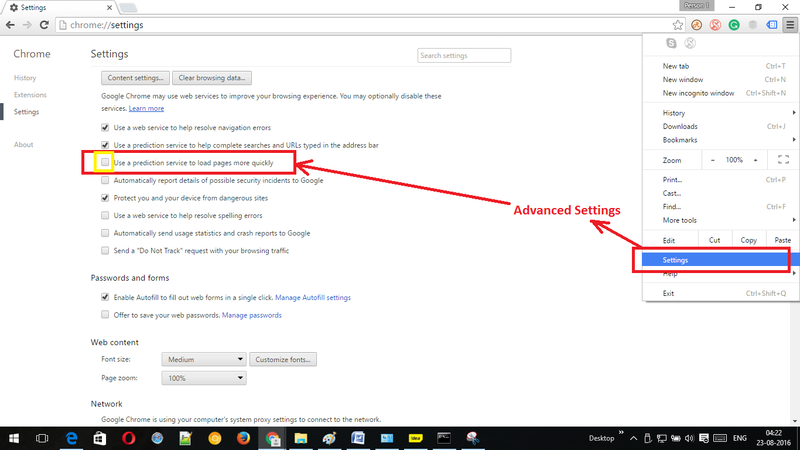 Go to the Settings in Google Chrome. Uncheck the “Use the prediction service to load pages more quickly”. Now restart the Google Chrome and open the problem-causing website and it will open up smoothly. 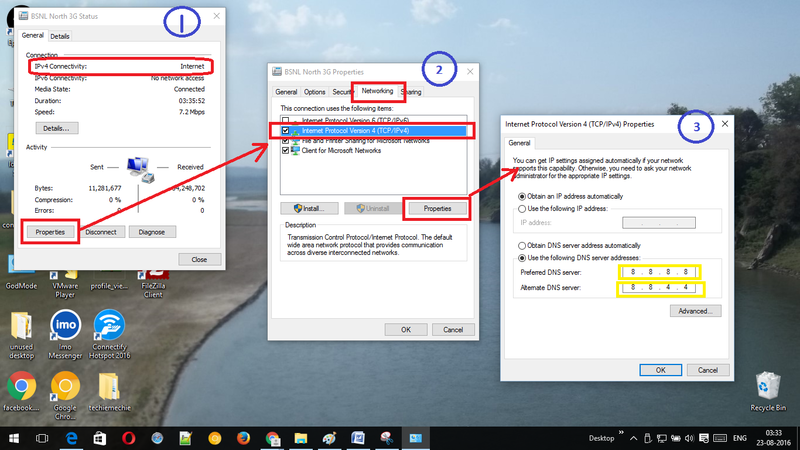 Find Network section and open the Change Proxy Settings. Uncheck the “Automatically Detect Settings” and re-launch the Google Chrome. Modifying the Hosts file can also solve the issue for you. The host file is checked beforehand the DNS resolution as it resides the system. As the IP and Domain name are mapped in this file, it will be easy for the system to process the request, coming for this Domain name. This solution is perfect for speeding the loading time of the very frequently used sites but it is difficult to follow the same process again and again for many websites. Find the file named Hosts and open it any text editor. 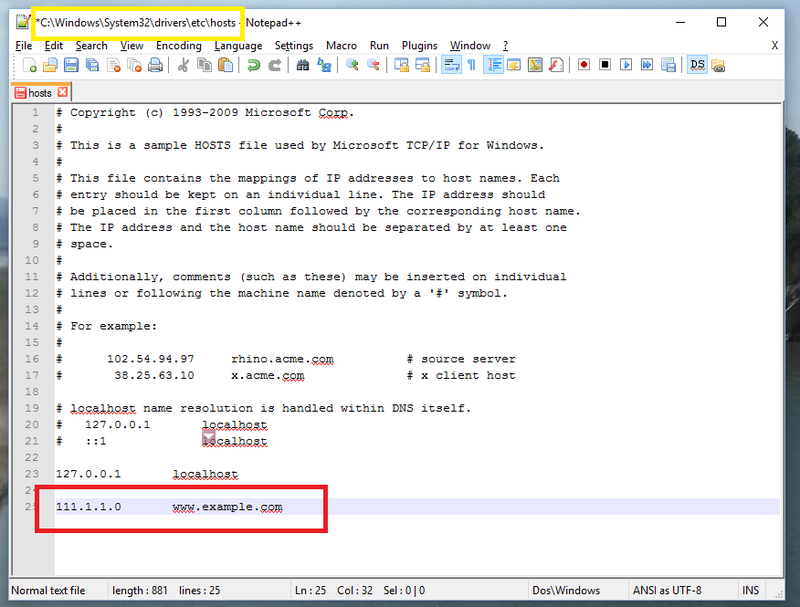 In the end of the file, add the IP address and Domain name of the problematic site as done in the snapshot. Your last manual option will be restarting the system and network connection if nothing seems to work for this problem. If you have set a similar IP for any other device connected to the same address, try changing the IP address of anyone and restarting your browser. This is because- IP conflicts can slow down the websites, sometimes making them inaccessible. If the issue is not solved by using any of the above-stated solutions, the problem is not at the browser, system or router level. So, prefer contacting and discussing the issue with your ISP as sites may be blocked at their end too. Additionally, they may provide you with the alternate DNS servers or change the configuration settings. You must have found the solution for “Google Chrome Resolving Host” problem. As your problem is resolved, do not forget to tell other Windows user about the solution will work well for you as it may help others! Well, great post. I have tried Googles public DNS and it saved my time. No more resolving host problem. Thanks for posting, keep sharing such stuffs. Thanks Rahul. Yes that solve resolving host issues for chrome. Thanks for this guidance it’s really works no more resolving host problem . This post really saved a lot of time for me, it’s very nice explainex. Hi my name is Alisa and I just wanted to send you a quick note here instead of calling you. I came to your How to resolve chrome resolving host issue. Tutorial with screenshots. website and noticed you could have a lot more hits. I have found that the key to running a popular website is making sure the visitors you are getting are interested in your website topic. I had some ISP problems with the IP which lasted for days. Problem solved but my browsers randomly won’t load pages: Resolving Host and Waiting for socket issues. Previously, I uninstalled my Network card, but let Windows to resolve the re-install upon a computer restart. Same problems. Finally the idea came to me, to check for drivers. Try manually install the the drivers or go the network card from computer management and choose reinstall driver/search online. Windows found something. Installed. thank you for this web page, your info appears to have fixed my resolving chrome issues. i used Solution 1 – Flush the DNS Cache with a .bat File. so far so good. many thanks. Solution 1 solved my Resolving host problem. Solution 1 worked for me. I was this close to reinstalling Windows. Damn VPN screwed up my internet connection!